With more than 15 years in organizational and leadership development, Michelle is a global change agent and coach who takes a partnership approach with leaders and high potentials to grow themselves, their teams, and their results. Known by clients as highly intuitive, pragmatic, and deeply supportive, Michelle empowers clients to narrow the gap between where they are and where they want to be, sustainably. Michelle’s extensive experience in global organizations as a professional and consultant (including living and working abroad) has made her a valuable resource within the biotech, engineering, science, and technology industries she’s specialized in. Michelle is also passionate about working with non-profits and smaller, local organizations. 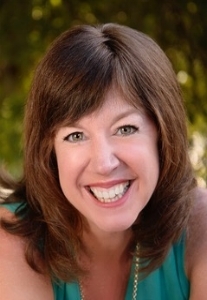 Bringing research-proven, holistic approaches to achieving individual and organizational full potential and engagement, Michelle has been described as energetic, positive, questioning, and playful. She fulfills her passion by creating a deep connection to the uniqueness of each client and expanding possibilities. Michelle is certified in The Five Behaviors of a Cohesive Team, MBTI Step I & II, and Cubiks 360. She is also a DiSC practitioner and The 15 Commitments Coaches Certification-Conscious Leadership Group. ©2018 Sunderland Coaching, LLC. All Rights Reserved.